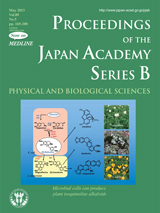 Plants produce a variety of secondary metabolites, including isoquinoline alkaloids, with strong physiological activities. For example, Papaver somniferum, Coptis japonica, and Eschscholzia californica produce the analgesic morphine, the antimicrobial agent berberine, and sanguinarine, respectively. Unfortunately, however, the production of these compounds can suffer from a variety of serious problems, including low levels of productivity and variations in quality, as well as the difficulty of obtaining raw material. 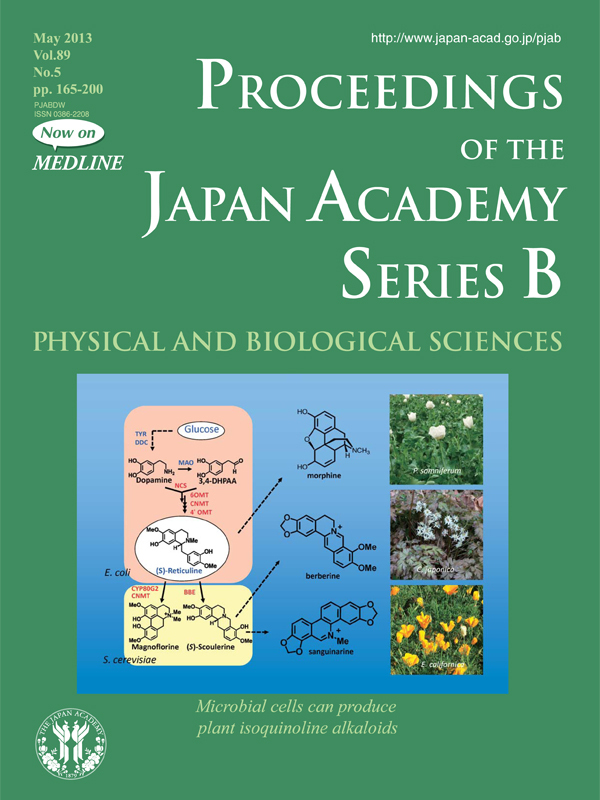 Dr. Fumihiko Sato and Dr. Hidehiko Kumagai have successfully developed a microbial platform for the production of plant isoquinoline alkaloids, that unifies the microbial and plant metabolic pathways into a single system. The “core alkaloid synthetic module”, which consists of four Coptis genes (in red) and three microbial genes (in blue) in Escherichia coli, produces (S)-reticuline, the key substance in the pathway, and the “ad hoc alkaloid synthetic module”, which consists of three Coptis genes in Saccharomyces cerevisiae, produces more complex isoquinoline alkaloids from (S)-reticuline. The present investigation, which used isoquinoline alkaloids as a model, should lead to new opportunities for the microbial production of plant secondary metabolites.